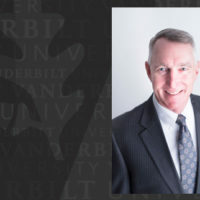 Provost and Vice Chancellor for Academic Affairs Susan R. Wente has appointed a search committee that includes a Board of Trust member, a current professional student, leaders from across five Vanderbilt professional schools and members of the central administration to lead a national search for the inaugural Bass Military Scholars Program director. The Bass Military Scholars Program was announced this fall following a $25 million gift from the Lee and Ramona Bass Foundation to provide financial aid and programming support for military veterans to pursue degrees from the Law School, the Owen Graduate School of Management, Peabody College, the School of Medicine and the School of Nursing. Reporting to the provost, the inaugural director will play a critical role in facilitating the trans-institutional development of the program, which will provide at least six scholarships for veterans beginning in the 2019-20 academic year, growing to cohorts of 10 or 11 scholars per year over time. In addition to scholar recruitment, the director will be responsible for the design and implementation of programming to engage the Bass Military Scholars in the life of the Vanderbilt community as leaders and mentors across campus. Potential applicants are encouraged to review the director prospectus and position description. Candidates with military experience, including distinguished records of service at the 0-6 level or above, are strongly encouraged to apply.